Here are the rough drive times and distances between the main cities along the Pacific Coast Highway. 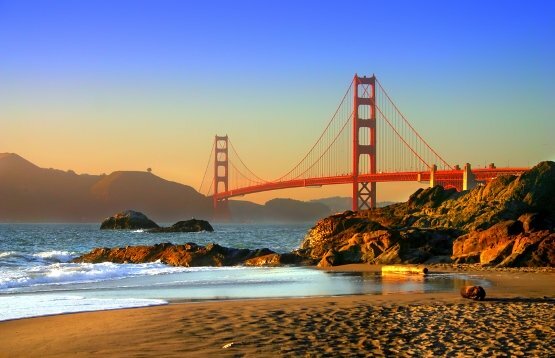 We cover the quickest routes from Seattle to San Francisco, San Francisco to Los Angeles, and Los Angeles to San Diego, given in miles and with the approximate driving time it takes. We also give the drive time and distance if going along the coast the whole way, which can be very different. They're also optimum times, and take no account of any stops you might want to make, even rest stops, nor any traffic conditions. They assume you are driving at or just under the speed limit the whole way. If your personal driving speed is different from that, you need to take that into account too. Note that if you set off from either end along the Pacific Coast Highway then there's no easy place to cut across to the freeway and make up time. What you gain in time you'll lose in getting to the freeway to begin with, as it doesn't run close to the coast. 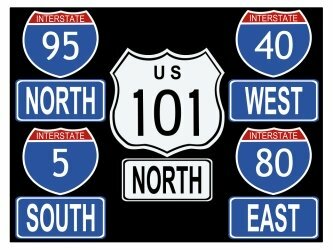 Although the Pacific Coast Highway and Highway 101 are mostly one and the same, there's a stretch of this route roughly between Salinas and San Luis Obispo when 101 goes inland. Going that way is about 126 miles, or about 2 hours of driving. Taking the coast route is about 150 miles and will take about 3 hours, as it's a slower route. That's what we've assumed you'll do in the above estimate of 460 miles. So if you really need to, you could shave an hour off your driving time by skipping this bit of the coast. Note that this bit more than others is affected by traffic, so exact time taken depends on day of the week, time of day, and luck. The figures below are optimum times, if things run smooth. 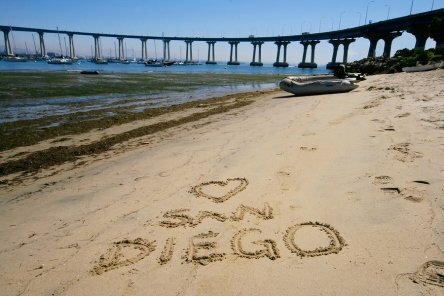 From Downtown Los Angeles to San Diego is about 120 miles, or 2 hours on a good day. If you want to stick to the coast, then Santa Monica to San Diego is roughly 135 miles, or maybe 2 hours 15 minutes. If you really stick to the coast and beaches the whole way, that's going to turn into about 150 miles and take you about four hours, as driving is a lot slower as you pass through every town on the way.